Artisan Breads — Wildflour Gluten-Free Baking Co.
All products are dairy and soy free unless noted. Finally a traditional baguette that looks and tastes as great as it's wheat-based equivalent. Slather with butter or toast up slices to make crostini for Bruschetta or other toppings! 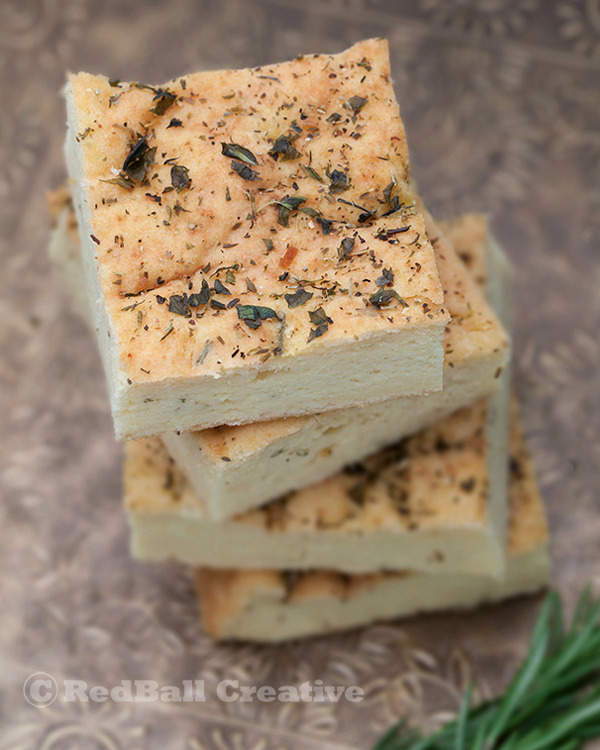 This is a classic, Italian style, rustic flatbread made with Extra-Virgin Olive oil & fresh local Rosemary & Oregano, and topped with Sea Salt. Offered in both an Herb flavor or Kalamata Olive & Rosemary. Great for a Panini or just dipping in olive oil. This is our newest creation! Quinoa flour adds protein and a lovely flavor to this light and moist loaf perfect for breakfast toast or sandwiches. Available as a sliced loaf. We are bringing back our "Rye" bread in September of 2016! This dark loaf is studded with caraway seeds. It's dark color comes from a combination of teff flour, a touch of cocoa powder, molasses and a splash of decaffeinated coffee. This is a very soft and moist bread that doesn't need any toasting. Our favorite uses for this bread are paring with smoked salmon & cream cheese, egg salad, and of course a Reuben sandwich! These rolls are studded with 5 kinds of seeds! Pumpkin seeds, sunflower seeds, Hemp seeds, Poppy seeds and Sesame seeds give this rolls a delightful crunch and flavor. A sprinkle of minced onion flakes as a light savory note. Slather with butter or enjoy plain -these rolls make a delicious side to soup, salad or any dinner. Seasonal availability. This loaf is the perfect balance of sweet & savory. Made from primarily Brown rice, Teff, Sorghum and Almond flours, this bread is chock full of toasted Walnut pieces and dried Mission figs. Fennel seed gives this bread a wonderful complexity and a savory element. This bread makes a great sophisticated twist on French toast (maple and fennel combine in an enchanting way), spread or with Goat cheese and Fig jam. Add a fruity red wine for a unique beginning to any dinner. A sugar-free, lightly honey-sweetened loaf. Fall availability. These buns work well for hamburgers, hot dogs, egg sandwiches & subway style sandwiches! These buns freeze well - perfect to have on hand for BBQ season! Summer availability. These soft, slightly sweet rolls make a delicious side to any dinner. Holiday availability. The rolls are made with Kalamata Olives, extra-virgin Olive Oil and Fresh Rosemary, and sprinkled with a touch of Sea Salt. Organic, sulfite-free Sun Dried Tomatoes combine with Fresh Parmesan & Oregano to create a savory roll perfect for dipping in Olive Oil, or use as a slider bun! (dairy) Summer availability. This is a soft, whole grain roll made with local hazelnuts, dotted with cranberries and sweetened with a touch of honey. Perfect for the holiday dinner. Makes great mini-sandwiches paired with leftover turkey, cranberry relish and melted Brie. Available November -December. Our Pizza Crusts are par-baked and designed to be kept frozen until you are ready for a pizza dinner! These are a generous 12 inch sized crust, with a nice thick edge to hold in your toppings and a medium-thin center. This is one of our most popular items, and discounts are available in 2 packs. Also available in an individual serving 8" size, sold in 3 packs. Soft white spirals of sweet dough filled with Cinnamon and Brown Sugar. These rolls come 4 to a package in an oven-safe / freezer -safe container. The rolls are drizzled with a dairy-free, Vanilla icing. These rolls are best eaten the day they are baked - but come with freezing & re-heating instructions if you are saving them for another day! Available Saturdays as individual rolls, and daily in 4 packs by advance order.